Portrait of Jonathan Edwards by Joseph Badger. Edwards was a leader in the 18th-century Great Awakening and a pivotal figure in U.S. history and Evangelical theology. Image courtesy of the Jonathan Edwards Center at Yale University. Widely considered the United States’s foremost theologian and philosopher, Jonathan Edwards was a leader in the 18th-century Great Awakening and remains a pivotal figure in the nation’s history and in Evangelical theology. Edwards’s sermon, “Sinners in the Hands of an Angry God,” is considered a seminal work of literature and his collected writings remain central to the study of religion and U.S. history. 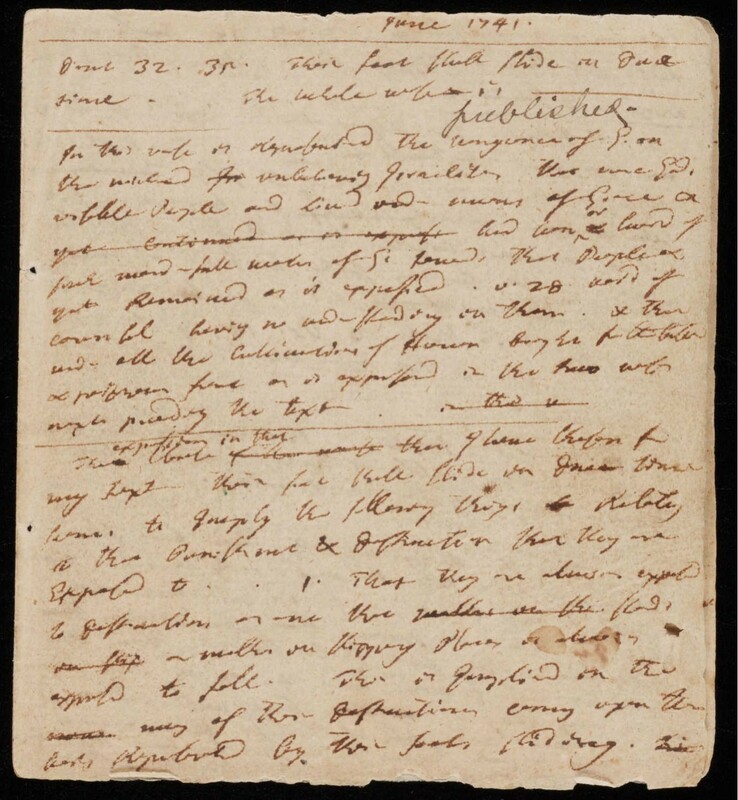 Since 2008, the NEH has partnered with the Jonathan Edwards Center at Yale University to make Edwards’s writing freely available to the public. The partnership has produced a searchable, online database of his work, including digitized versions of Yale University Press’s 26-volume collection, The Works of Jonathan Edwards, and 47 additional online volumes of previously unpublished writings and documents. The manuscript of “Sinners in the Hands of an Angry God.” Edwards's renowned sermon has been made accessible online with NEH funding. Image courtesy of the Jonathan Edwards Center at Yale University. 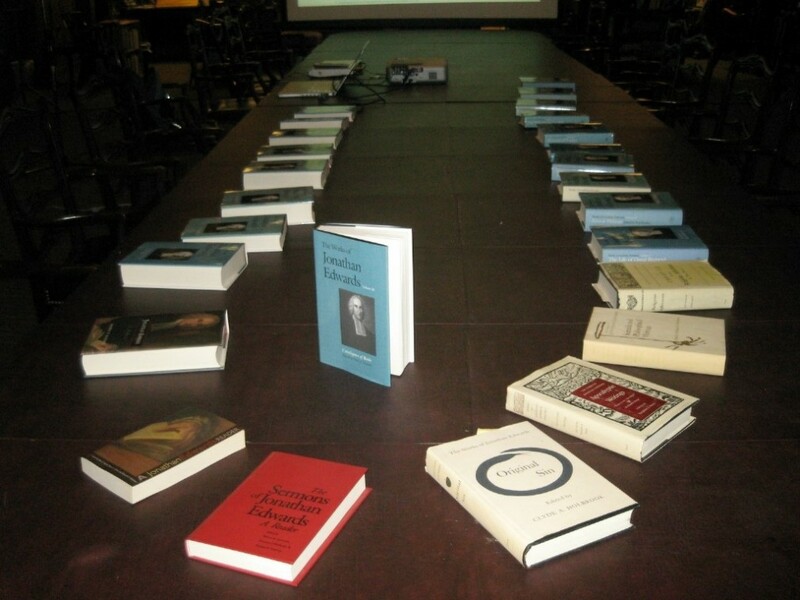 In addition to making his written works publicly accessible, the Jonathan Edwards Center provides tools for teachers and fosters connections among those who are interested in Edwards’s life and philosophy. The center offers an online course on Edwards through Yale Classes Online. It has created one- and two-day instructional modules for use in high school history and English classes as well as a casebook for teachers on “Sinners in the Hands of an Angry God” that grounds the sermon in its historical context and connects it to Edwards’s system of thought and piety. Print editions of The Works of Jonathan Edwards. NEH funding has helped the Jonathan Edwards Center digitize this 26-volume collection and make it publicly available online. 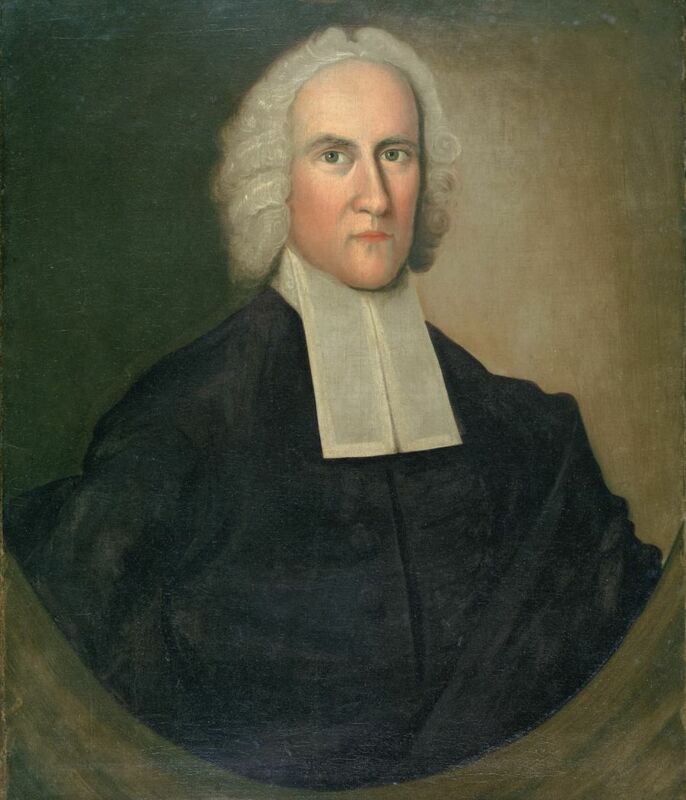 Image courtesy of the Jonathan Edwards Center at Yale University. In an effort to make Edwards’s writing accessible to the public more quickly, the center has developed the Sermon Editing Project, which trains volunteers to transcribe and edit his work under staff supervision. Since 2012, 160 volunteers from 12 countries have worked on the project. The center sponsors an online, peer-reviewed journal, regular conferences and colloquia, and two publishing imprints. In response to Edwards’s worldwide significance, it has established a network of affiliated centers in 10 countries.